An apology, empathy, and an explanation of why the problem happened are the keys to writing complaint response letters that restore customer confidence. One of the things I do in my practice is write the templates for complaint response letters for some of world’s most renowned brands. My work usually starts with me throwing out all robotic and boring messages that are in use. Then, I custom create response letters that reflect the brand’s voice. Once I get the brand voice down, my complaint response letters follow 5 steps. 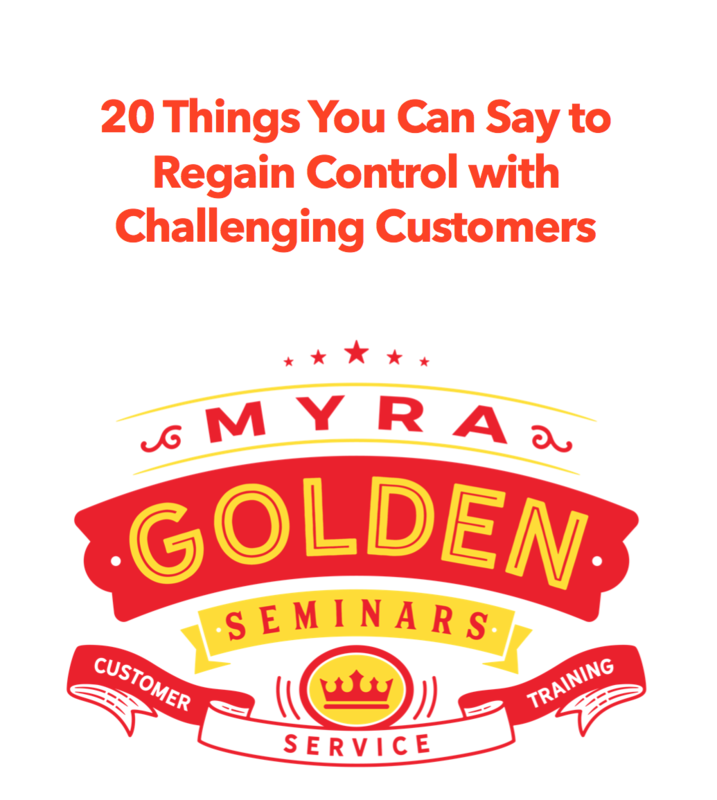 The 5 steps ensure that the complaint response letter restores customer confidence and regains goodwill. Here are my 5 steps with great examples from great companies that know how to regain customer goodwill after the worst has happened. Making an apology to customers after things go wrong is positively related to satisfaction with the recovery. When a service employee apologizes to a customer, she conveys politeness, courtesy, concern, effort, and empathy. 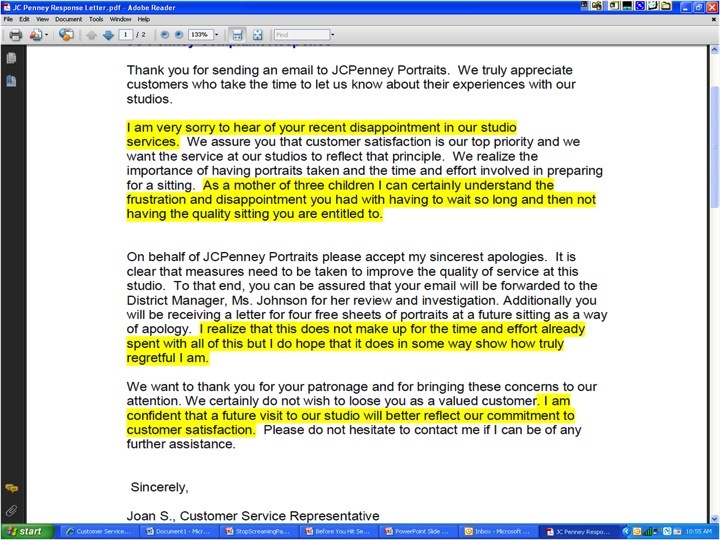 For a picture-perfect example of how to acknowledge and empathize with a customer in a problem situation, take a look at the last sentence of paragraph two in the JCPenney Portraits email below. A vital, but often overlooked element of customer recovery is to provide an explanation for how or why the problem happened. Taking the time to explain to a customer what might have caused the problem helps organizations re-establish trust and regain customer goodwill. 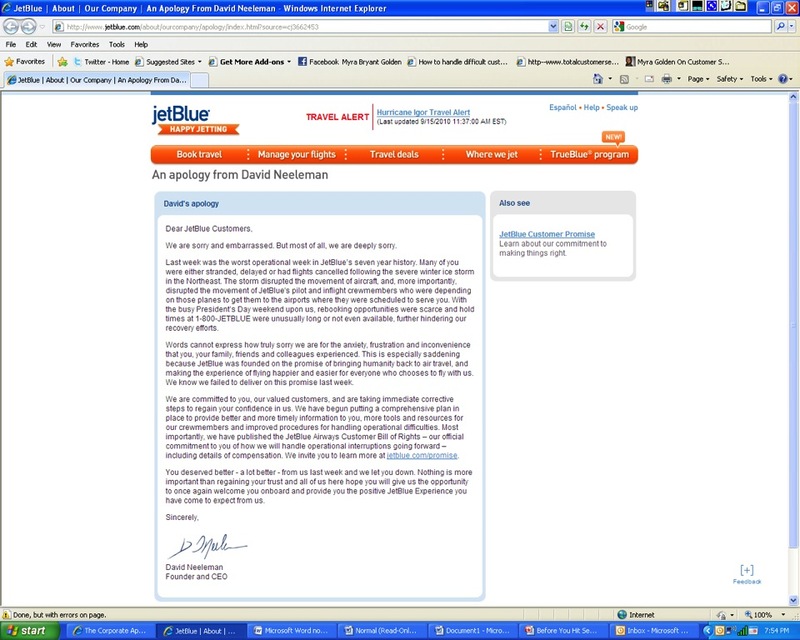 Here’s how JetBlue provided an explanation of how the problem happened in the example letter from above. End your letter on a positive note with a statement similar to these examples. Follow my simple 5-step process for responding to complaint letters, and you will restore customer confidence and regain goodwill after even the most devastating service mishap. Previous Previous post: Bad customer service has pissed me off, inspired me to tweet and even made me cuss.